Again i got insulted by others. Again i didn’t complete my work . Again i don’t have any excuse . Again i had to listen another stories. And again i am repeating this all words. Today i want a answer. Hey god can you give me answer. Hey you are listening or not. Give me a answer you know everything . Tell me why i failed always . But again i don’t get answer. Again god didn’t help me. Again i ask myself … should i ask to my friend ? No . They can not understand my feelings. Ummm should i ask to my parents ? No no no i can’t .. yesterday my father scolded me ..
and my mother also supported him. Then who will help ..
And again i am weeping ..
Again my heart is getting pain. Now i am not able to think .. But again i can’t because i don’t have guts. I am crying . I should not weep now i should wash my eyes .otherwise anyone will come . Now let go the wash room . I got up and going in front of mirror.. I see myself in front the MIRROR . suddenly i am looking at myself continue. I am not able to understand what is happening. I don’t know why i am staring myself. Few minute after i feel that i am taking myself infront of the mirror. I am confused what is happening.. I don’t want to go back . Then few minutes after i heard something . I scared .. i want to go back .. I stopped.. mirror is talking with me or i am in the mirror ..
Mirror replied : hey …. what happened. Now i feel comfortable . I said you can not understand my feeling you are the mirror. Mirror : why you cry everytimes . Me : because i failed again and again and again ..
Mirror : who told you that you are failed. Me : rubbish !! I know myself i failed many times ..
Mirror : tell me in which race you failed. Me : i wasn’t participate the race ..
Mirror : then how you failed ? I think myself how i failed ? I am not in the race then how i failed. 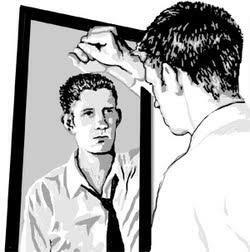 Mirror : what you are thinking tell me. Me : i ..i..i..i am not good in study. Me : but my parents only depend on study. Me : they doesn’t know that nowdays so many opportunity came .. technologies and modernisation came.. i can do another thing ..
Mirror : what you want to be ..
Me : i don’t know but i am doing engineering..
Mirror : but you are not good in study..
Me : ya but i am average student. I never fail in school. Why you slap yourself ? Me : because i don’t have any talent . My friends are goods in music and others are good in sports. and they all have a relationship. Me : no i respect them but i am not like my friends they are active . Mirror : and what your friends doesn’t have ..
Me : i am 6ft they are not. Somewhere i am good in other activity . Mirror : it means you are better than your friends. Me : i don’t know but may be i am good. Mirror : but you failed . Have you ever complete your race. Me : i told you i am not in the race . Mirror : if you in the race then ? Me : i don’t care how many participates are there . How many students are sitting in exam hall. They all are not my body parts why i count peoples .. if i going to give exam that time i have a one pan one sheet 3 hours one mind i will write myself .. i don’t care who is writing or not. Mirror : if you are not in the race .. If you don’t care how many peoples are participating . Then why you cry. I started thinking all of my failure. I started thinking how many times i didn’t understand my reality..
My eyes are shining now . And i have only one word to say in front of the Mirror. Now i knew who i am . It means only i can do what i want to do. It means only i can care myself . Only i can motivate myself. Only MIRROR AND I ………..